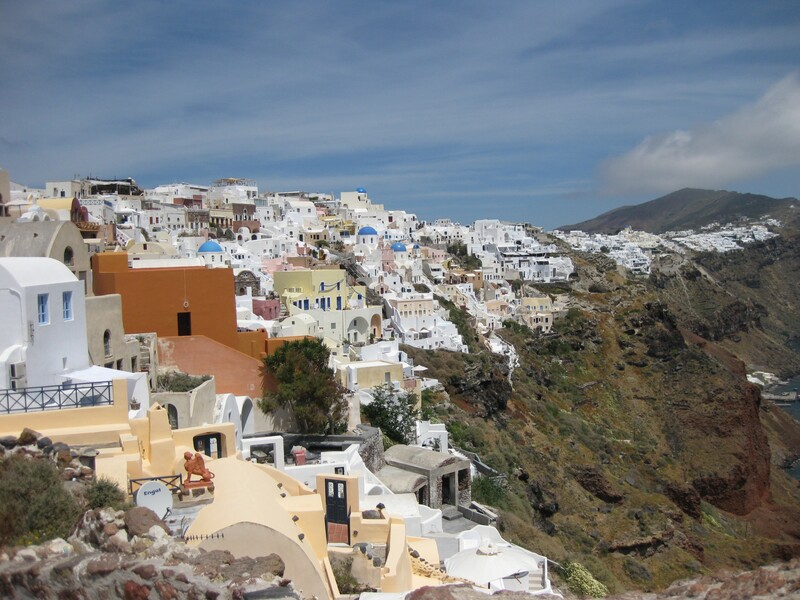 Santorini stole our hearts! It was the perfect end to our vacation – London, London Marathon, Athens, and Santorini. We enjoyed beautiful weather and sites on the island and hope you enjoy the pictures (some appeared on my Instagram page), though no picture can do the views justice, half as much as we enjoyed the trip. 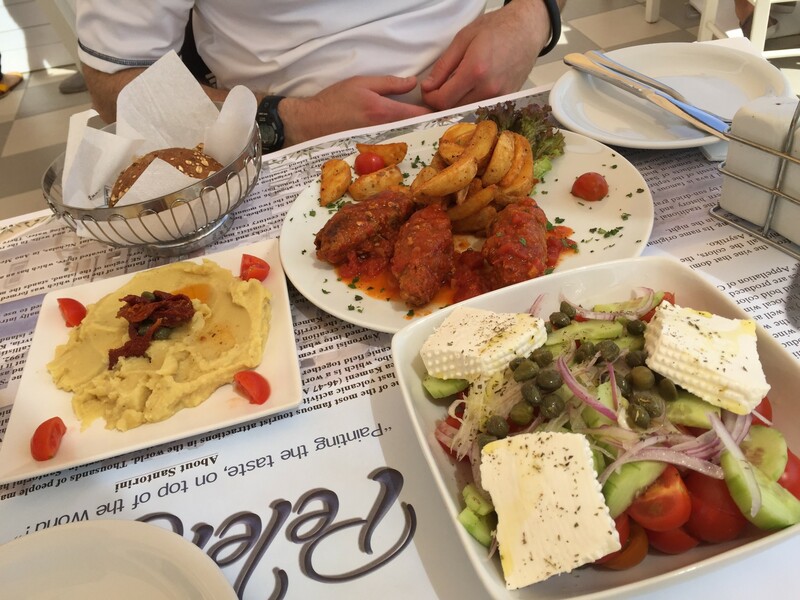 Food – We continued our trend of eating salads with almost every meal, especially Greek salads with feta cheese or the Santorini salad with fresh cherry tomatoes, capers, and homemade chloro cheese. Aside from breakfast which was served to us on our balcony at the resort, we made it point to eat at top rated restaurants on TripAdvisor. All of the vegetables on the island were extremely fresh, especially the cherry tomatoes, fava beans, and olives which were local. 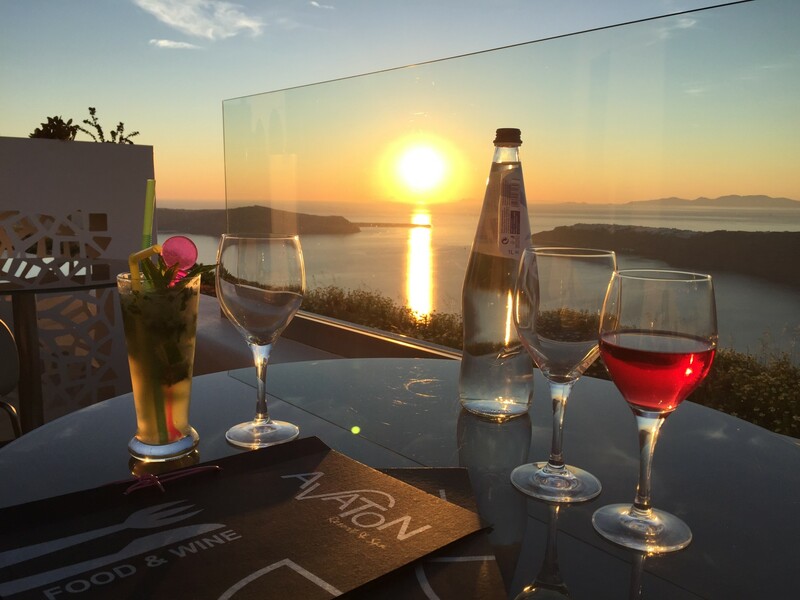 We ate at some amazing restaurants including Cave Restaurant at our hotel, Avaton Resort & Spa and Kapari Wine Restaurant. 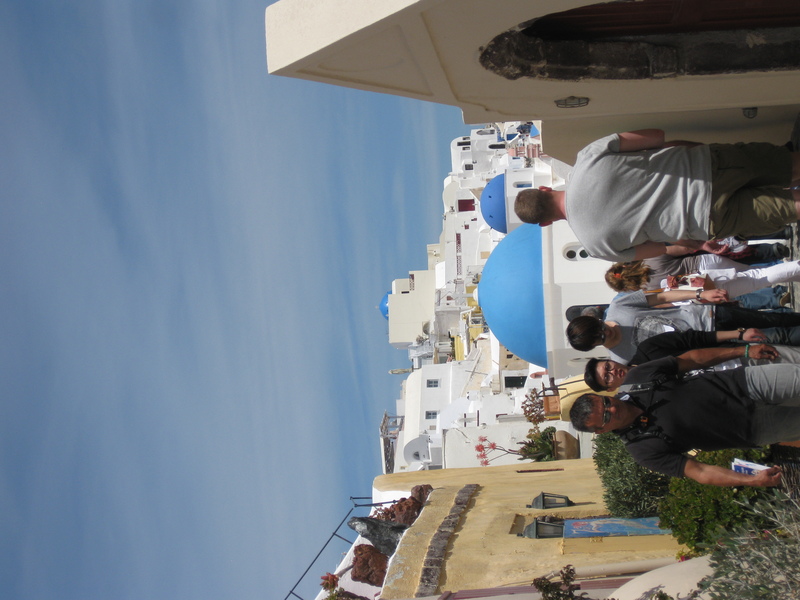 Activity – After all the walking and sightseeing in London and Athens, we wanted a break in Santorini. 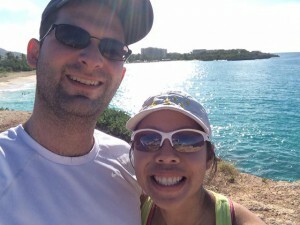 However, the island was the perfect blend of activity and relaxation for us. Since we only had 4 nights on the island, we tried to keep it as low-key but active as much as possible. 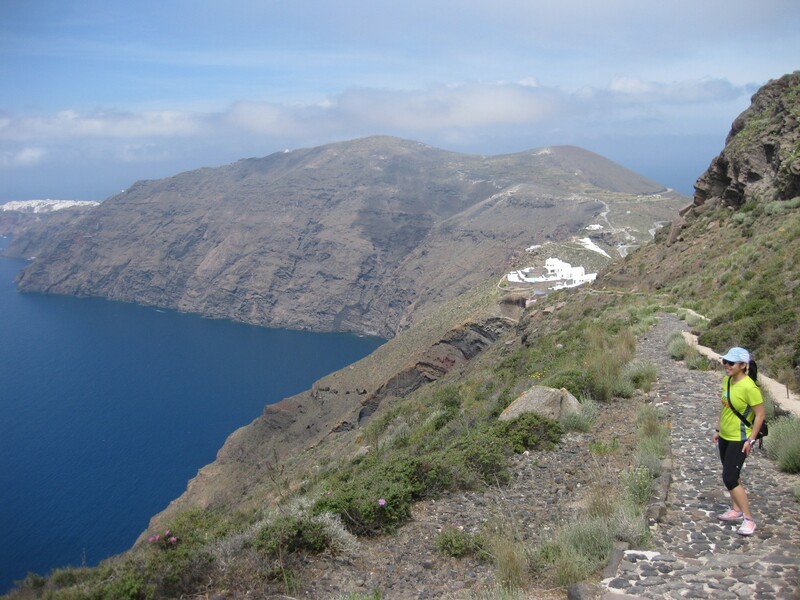 We hiked from our hotel in Imerovigli to Oia along the most scenic and challenging paths. The hike was over 4 miles long and took us a little over 1.5 hours with a lot of stops for pictures. 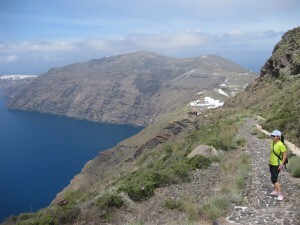 We also did a run from Imerovigli to Fira and back all along the cliffs overlooking the caldera. 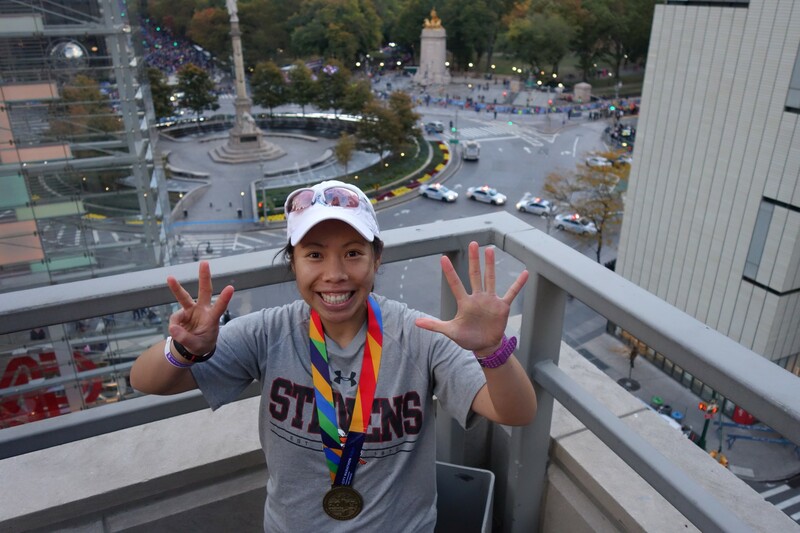 The run was about 5 miles out and back on a very hilly, stone-paved/uneven path. 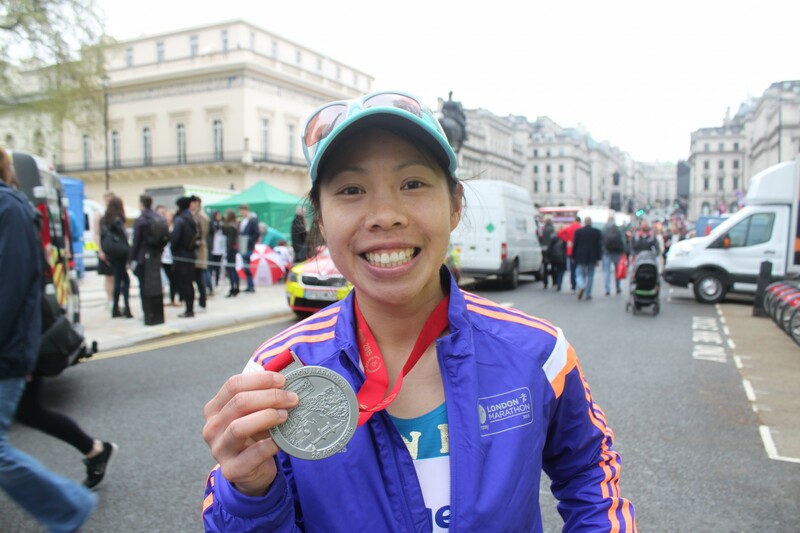 A perfect, yet very tough recovery run. 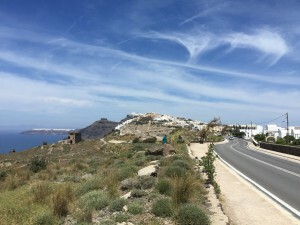 On our last day in Santorini, we went to Perissa Beach. The water was cold since it’s the beginning of the season but extremely calm. 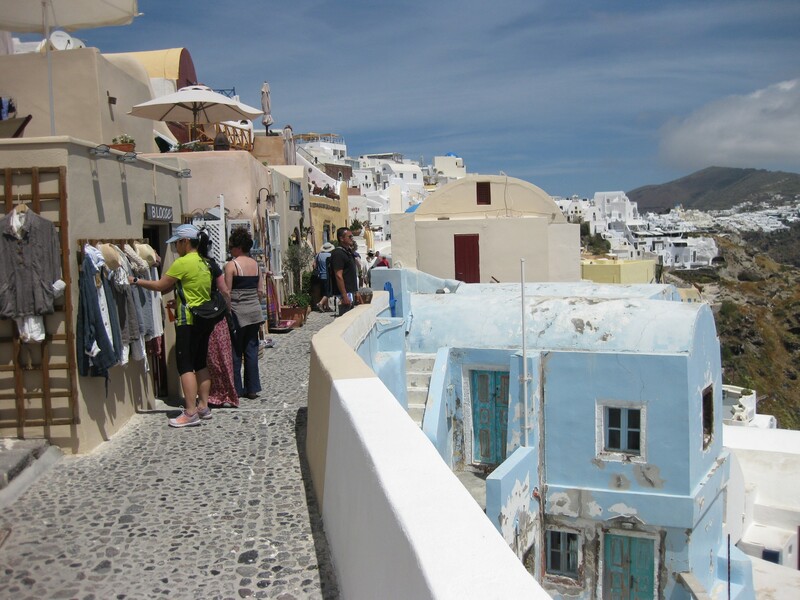 Shopping – I love browsing through all the local shops on vacation to see the arts. I wish we had more space at home or a big enough suitcase to bring back some of the beautiful pieces we saw in Santorini. We did some browsing and shopping while we were in Oia and Fira. 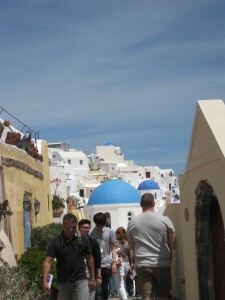 I do recommend shopping in Oia over Fira as everything appeared to be more local rather being a tourist locale. If you happen to be in Oia, I recommend checking out Aquamarine Jewelry as the staff is extremely friendly and they sell gorgeous pieces made in Greece. 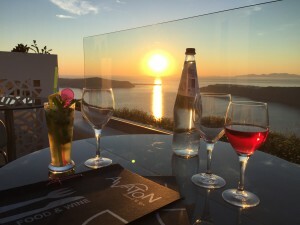 Sights/Relaxation – There is so much to do on the island from catamaran cruises to wine tours, but we really wanted to see as much as possible but also relax and we did just that. 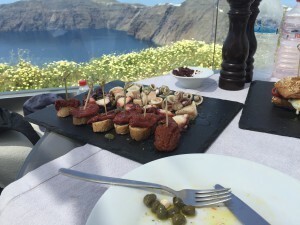 We made sure to sleep in as much as possible, start the day with a leisurely breakfast overlooking the caldera, and then decide what to do next. In addition to the activities mentioned above, we read by the pool, enjoyed the amenities of the spa, and I even had one of the best massages ever. 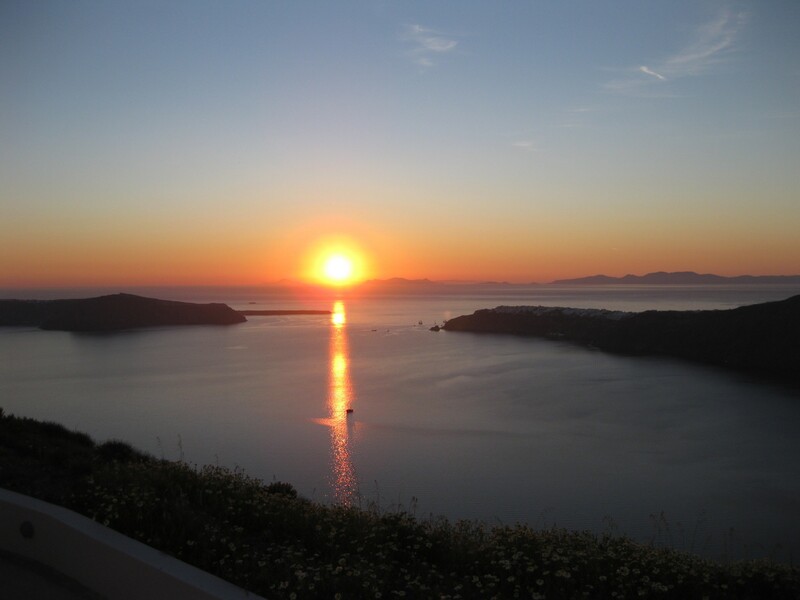 While everyone talks about the sunsets from Oia, we enjoyed the sunsets each night from Imerovigli and they were incredible. Our hotel is right at the edge of Imerovigli, so we had unobstructed views of Oia but also of the caldera, which we felt was the perfect spot for the sunsets. We had an amazing vacation and cannot wait to return to Santorini. 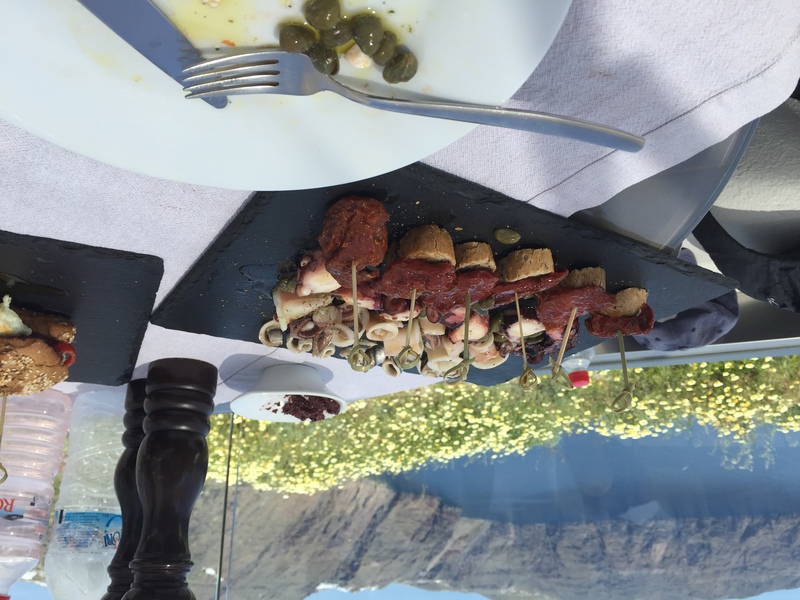 To read more on my reviews from our travels, check out my TripAdvisor page. 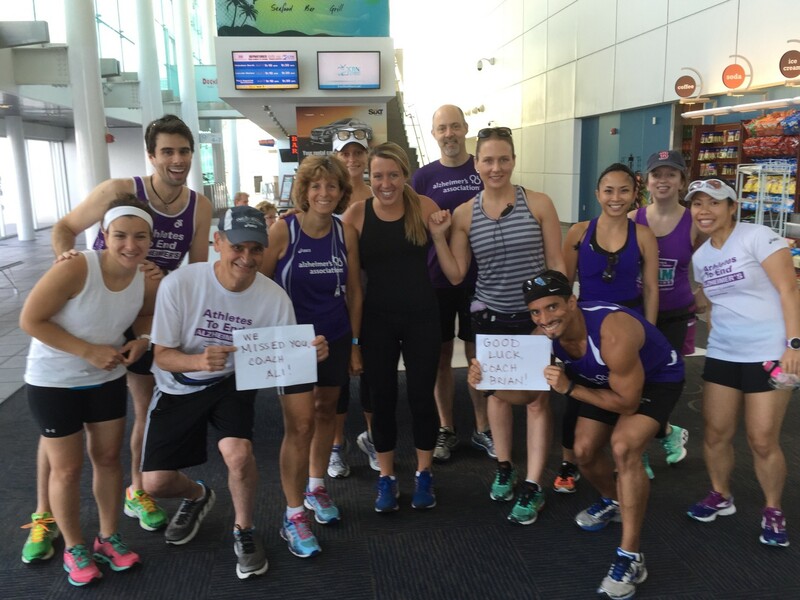 What’s your most favorite place that you traveled to recently?